I purposely got up at 0600 hrs as I wanted to get off early today and make use of the kitchen before it got busy. I was also conscious that England were playing Scotland in the 6 Nations so was well chuffed to find it being shown live and the game still had 40 minutes to run. The end result was also a great start to my day. 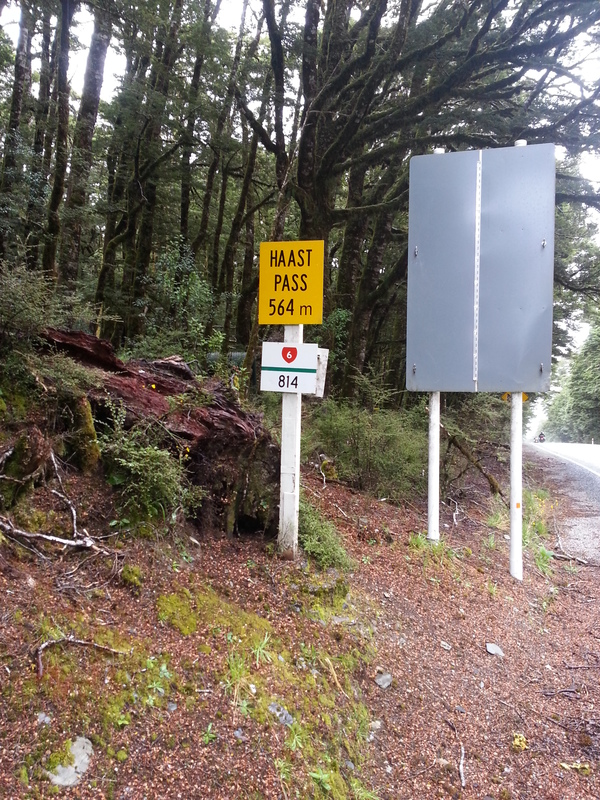 Today was another hilly day along the highway with the big climb of the day being the Haast Pass. It was really wet today and I was dressed in full wet gear all day. Before starting the Haast climb I stopped at a DOC campsite and made myself a coffee. 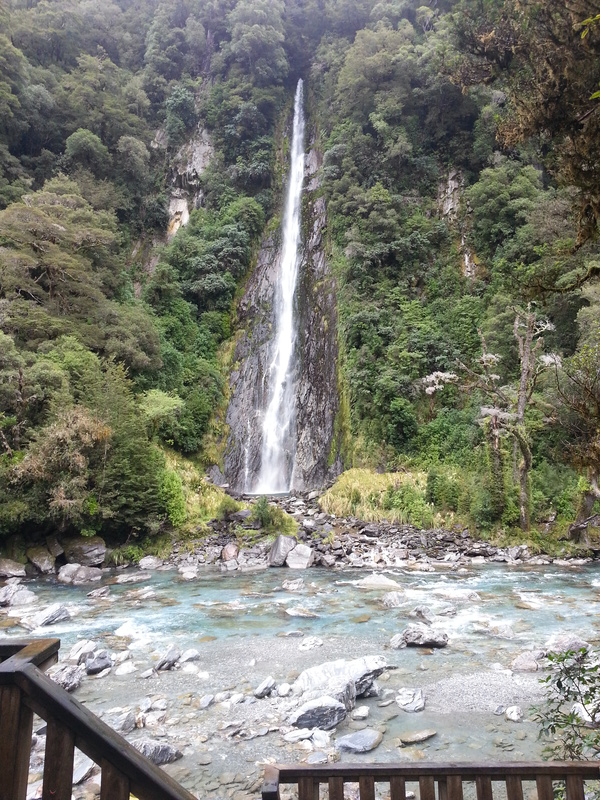 On the way up the pass I passed one of many waterfalls. The descent off the pass was steep and fast. 77 km/hr to be precise and so fast that my waterproof cover that went over my backpack must have blown off as it was not present when I reached a small picnic area sometime later. Add it to the list including the lost gloves. 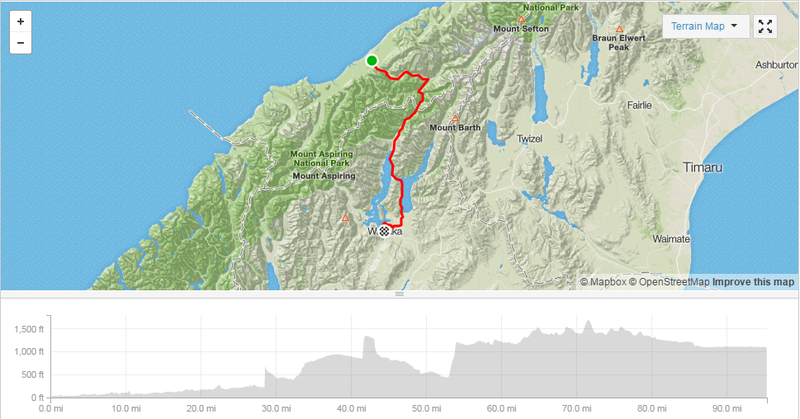 The later part of the ride was very undulating and was hard going, both physically and mentally. 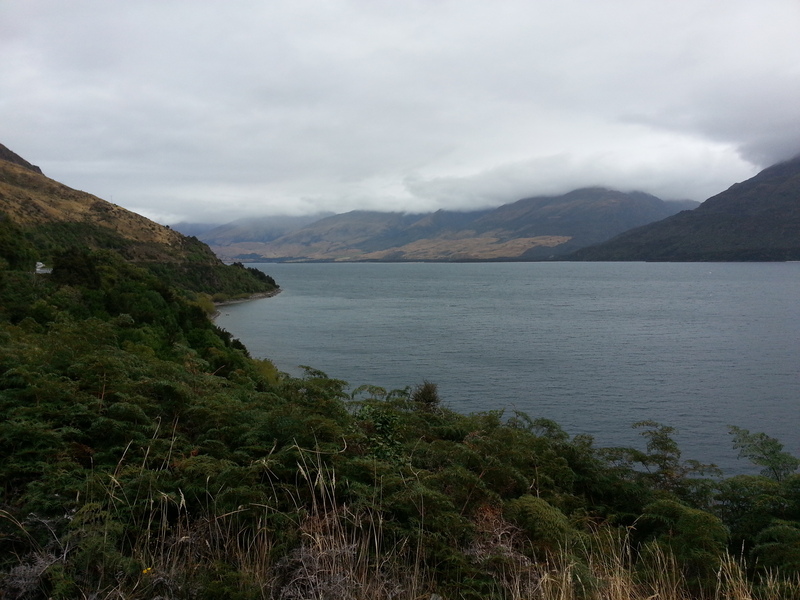 I finally reached the lovely lakeside town of Wanaka at around 1900 hrs. Accommodation options in the town were very limited as there had been a large festival on over the weekend and people must have decided to stay the Sunday night too. 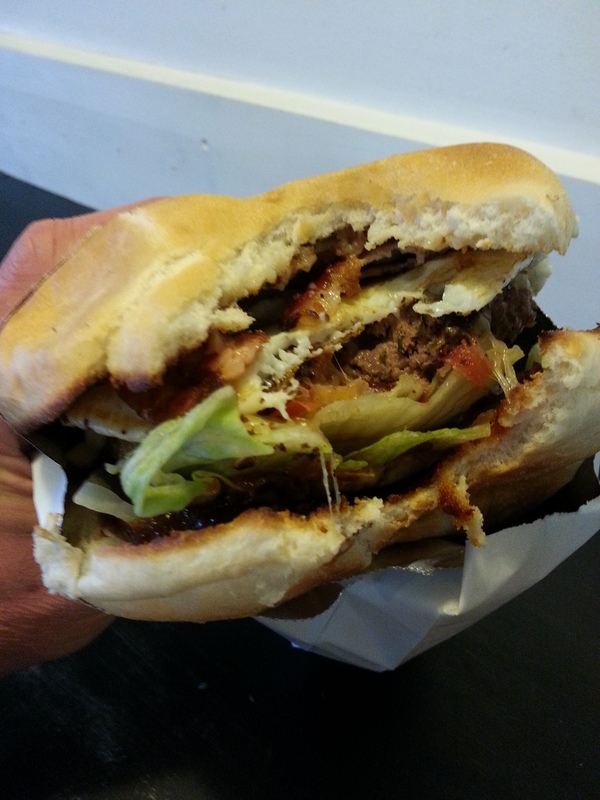 I did, however, stumble across what I reckon was the best burger bar yet. Damn. That was a good burger. I made my way to the local campsite and decided that tonight I would take a cabin. A bit extravagant as it cost me $100!